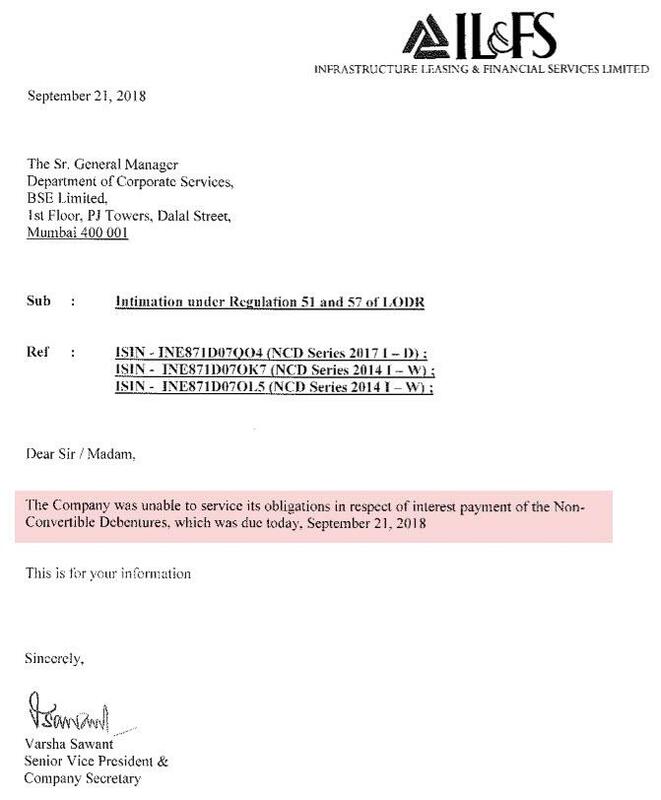 Update: IL&FS has confirmed it is unable to service its obligations in respect of interest payment of the Non-Convertible Debentures, which was due on September 21, 2018. 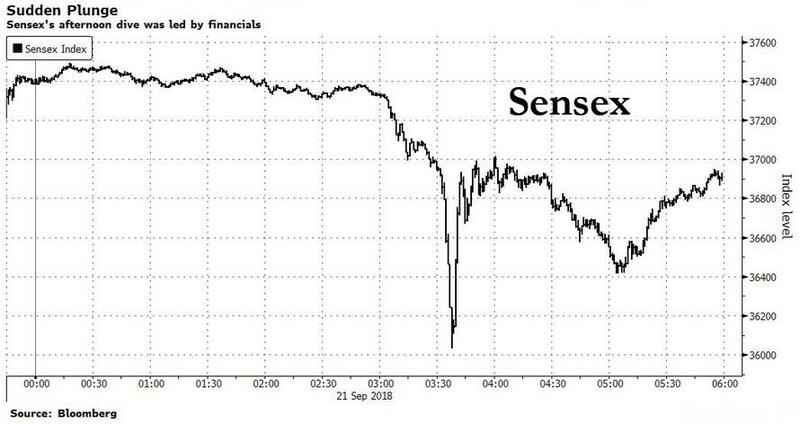 Turmoil broke out in a relatively stable corner of the global market overnight, when "volatility erupted" in India’s stock market on Friday, after plunges in Yes Bank and Dewan Housing Finance set off an exodus from financial shares and slammed the broader stock market. Yes Bank sank to the lowest level since 2016, losing 30% of its value in one day, after India’s banking regulator refused to extend the tenure of the lender’s chief executive officer," while Dewan tumbled 43% for its steepest loss on record, Bloomberg reported. "IL&FS’ problem and Yes Bank’s issues are impacting every financial stock in the market,” A K Prabhakar, head of research at IDBI Capital Market Services Ltd., said by phone. “Leveraged positions are being reduced." As a result, the benchmark S&P BSE Sensex plunged, swinging from a 1% gain to a drop of as much as 3% - its wildest intraday move in more than four years - before closing with a 0.8% loss. 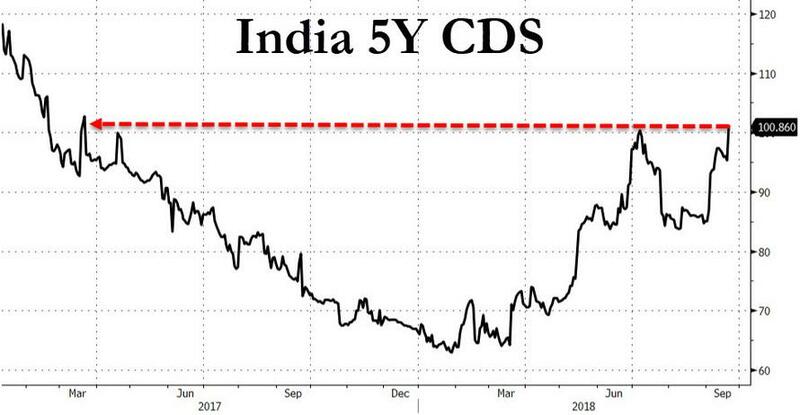 Friday’s declines showed that even India is becoming increasingly sensitive to the recent shockwave across the EM space, and that investors remain jittery about Indian financial shares after the recent default by Infrastructure Leasing & Financial Services shook confidence in the sector. “Downgrades are a serious possibility” for non-bank financial companies, Aneesh Srivastava of IDBI Federal Life Insurance Co. said. Meanwhile, some investors are concerned that the Reserve Bank of India may tighten rules for housing finance firms after a long legacy of shoddy lending that’s resulted in India's ballooning bad debt crisis (profiled in "Step Aside Italy: India Is Emerging As Ground Zero Of The World's Biggest NPL Crisis") which has received surprisingly little coverage around the globe. This comes after the central bank said Yes Bank’s chief executive officer will have to step down at the end of January. The RBI has also taken a tough line with other private-sector bank CEOs in recent months. The central bank refused to extend the tenure of Axis Bank Ltd. chief Shikha Sharma, who said she would step down at the end of 2018 despite support from shareholders. After a strong rally, which has been largely insulated from the broader emerging market turmoil, cracks have started to emerge in India's stock market which is down sharply from its late August highs, as the outlook for India stocks appears to be turning amid the financial-industry turmoil. 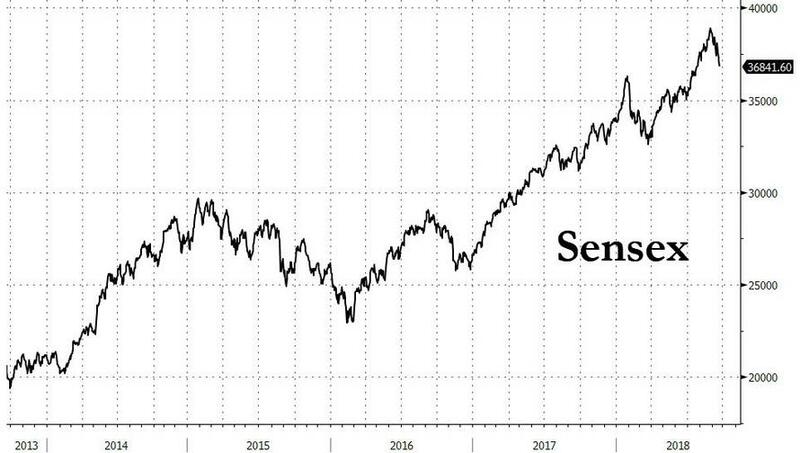 Adding to the concerns, on Sept 16, Goldman Sachs published a report that called time on the rally and downgraded its stance to the equivalent of a hold rating, citing elevated valuations. “A bearish phase in the market is beginning,” IDBI Federal’s Srivastava said, which brings us to the question we asked two weeks ago: Is India emerging as the biggest risk in emerging markets?